With one episode left in season nine of “Bones,” Emily Deschanel and David Boreanaz participated in a conference call to discuss the finale and what fans could expect. During the call, Deschanel and Boreanaz both agreed that the only reason the show has lasted so long (it was recently renewed for a tenth season) is because of their chemistry and commitment to the work. Deschanel agreed saying that since the beginning the two of them truly committed themselves to the show and none of that has change or will change going into season 10. Boreanaz revealed he directed the last episode, saying it was a challenge for him to take on something as big as the finale. Deschanel said David is a one of a kind director. Although the two couldn’t go into too much detail about the finale they did confirm that fans are going to be shocked during the entire episode, especially the last few minutes. 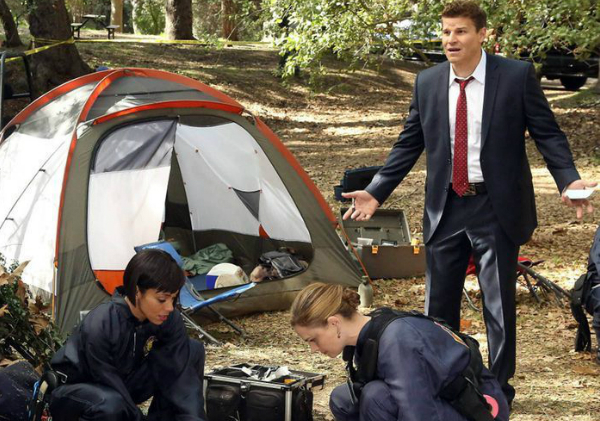 Catch “Bones” Mondays on FOX at 8:00 p.m. EST.